What is the biggest challenge your Ward faces? What policy solutions would you seek if elected? Ward 9 faces a number of issues, but I believe the basis of every one of those concerns, is a lack of public engagement. 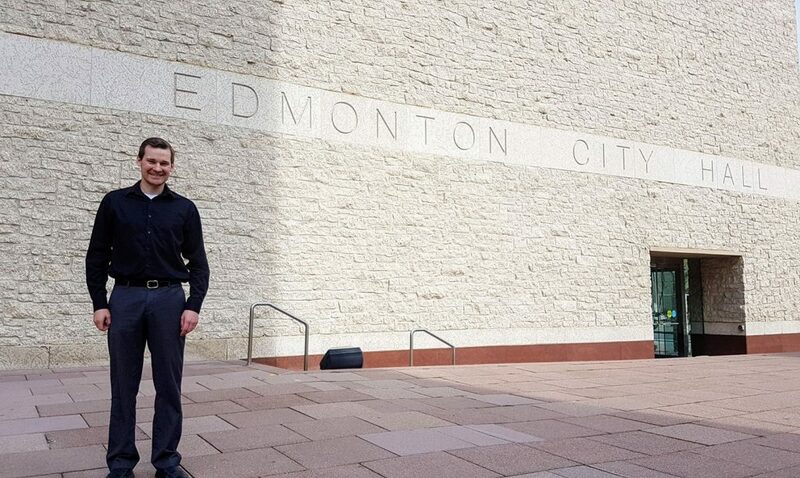 The City of Edmonton needs to concentrate on ways to get more people from every walk of life to give their input so everyone is represented on City Council. If elected, I would like to be a part of a committee that makes sure this is happening effectively and efficiently, on an ongoing basis. There are ways City Council is getting input now, but I would like it to make it easier for people to be involved by making things more transparent, and convenient. Community consultation is something politicians often talk about, but don’t make a priority. Maybe it’s because I don’t consider myself a politician, that I am the first to suggest taking this to the next level. Being different is also what makes me an underdog in this race: I have a budget that is a fraction of other candidates, because I refuse to take tens of thousands of dollars most politicians take in donations from corporate interests, such as developers, who will have applications before City Council this term. I will not make decisions with those donations in the back of my mind. I will make decisions with Edmonton in mind. In fact, I plan to do the opposite of those politicians, and donate a sizable portion of my City Council salary to worthy causes. 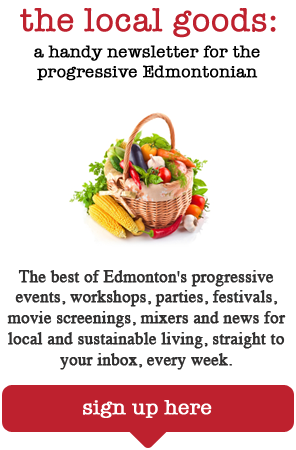 How will you help Edmonton become a greener / more environmentally friendly city? I think Edmonton will organically transition into a greener city on its own, as it becomes more and more popular, and economic to do so. That said, governments at every level around the world have a responsibility to nurture that transition, speed up the process, and lead by example before it is too late. I started to take interest in the environment when I was a teenager, and considering the perspective of younger generations on the environment, maybe it is my relative youth (I’m in my early thirties) that has me taking the environment more seriously than my counterparts. There are many ways to be more environmentally friendly, which is why every decision made by City Council should be made with consideration to the environmental impact. The City of Edmonton should immediately implement a plan to retrofit older buildings to make them energy efficient, and at the same time, have new housing developments in Edmonton made to be more energy efficient than what code currently allows. If we are to move toward a carbon-neutral society, it only makes sense to build for the future now, rather than paying for inefficiency first, and retrofitting later. This would include a better electrical grid, to handle the input of electricity from the homes, rather than just providing it, along with Solar ready homes, and fully carbon-neutral homes. Along with that, new developments need to be made in a way so people don’t need to travel far to get the services they need. This would add convenience, and ease both traffic congestion, and the reliance on vehicles in general. With the addition of a well working mass transit system for the times people do need to travel further, we start to see a significant impact. How will you strengthen Edmonton’s local economy and support our city’s independent, locally-owned businesses? A lot of this all ties together, as it has several spin off benefits. Transitioning to a more environmentally friendly lifestyle, will actually SAVE money in the long term, and at the same time, provide new jobs and a boost to the economy now. I believe being a leader in this area will help local businesses, and attract others to either start here, or move here. By creating more self sufficient neighbourhoods, we will also see an increased demand for locally-owned businesses. How will you make this a more inclusive city and support Edmonton’s marginalized communities? As mentioned before, being inclusive means making sure everyone is heard during the decision making process, rather than only hearing complaints after the decision has been made. We need a fair and balanced approach, as well as reliance on recent data to guide us to the best decisions. I believe that if you do what has always been done, you will get what you always got. That isn’t progress. Changes may need to be made to our approach to change the outcome we are getting. That doesn’t necessarily mean radical changes; we have actually seen the rate of homelessness drop considerably in Edmonton, despite tough economic times. Supportive housing can be used throughout the city, and similar to how environmental initiatives can save money in the long run, I believe this can have the same kind of result and save money in other areas such as healthcare and policing. We can continue the current progress, but we are going to have to work with other levels of government, and ensure that the funding that was there previously, comes back again. How can our readers learn more about your platform, contact you with questions or concerns, or get involved in your campaign?